Although Spokane Valley’s roads may be cleared of snow faster this winter as the city speeds up plowing operations, it could mean more snow on the sidewalks. Last year, Spokane Valley replaced “bat wing” blades with flat blades on four snow plows and slowed plowing speeds to reduce the amount of snow displaced onto sidewalks. However, the city found that by reducing plowing speeds, it extended snow removal operations into the day, which affected traffic. Changes to snow plowing operations also created taller berms along curbs, clogged storm drains with layers of ice and cost more than previous years. The city last year chose to revert back to its snow removal plan from 2016, in which plows operate at a faster speed, allowing primary routes to be cleared within 14 hours. Most of the plowing occurred overnight. The city also considered hiring a contractor to clear more than 35 miles of sidewalks along “safe routes to school” on major arterials, but contractors brought forth liability concerns with clearing sidewalks. Snow removal has been a common topic, discussed about a dozen times by the council during the past three years. The city passed a new law in 2017 requiring residents to clear snow and ice from their sidewalk within 48 hours if accumulation is more than three inches during a “snow event,” or face a $52 fine. That same fine could be reissued if noncompliance continues for another 48 hours. A third citation issued within 12 months would increase the fine to $103. Previously, there wasn’t a penalty for failing to remove snow from sidewalks and the city grappled with keeping safe routes to school as well as heavy pedestrian areas clear of snow. The city has issued 44 warning notices to residents in the past two years. The law applies to commercially-zoned areas along major arterials and residential safe routes to schools. If senior citizens or residents with a physical disability are cited for noncompliance, they can dispute it by providing verification to the city, such as a doctor’s note. There’s also snow removal assistance available to residents from the Washington State LDS Mission Office, Catholic Charities and Community Living Connections. Spokane Valley Mayor Rod Higgins said improving snow removal is an ongoing policy discussion for the city. 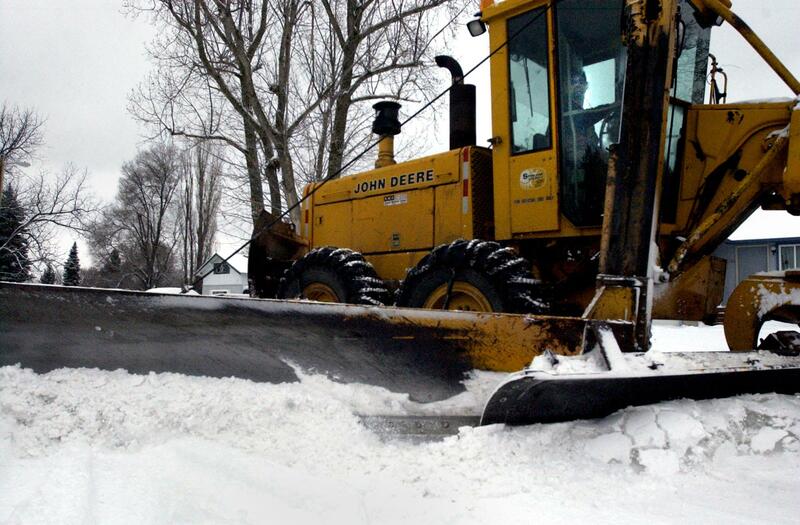 The city is now discussing whether to affix snow gates on its graders. Spokane Valley currently uses contracted graders to plow residential areas of the city. Adding snow gates would require contractors to purchase them at $25,000 each. Higgins said although most folks would agree Spokane Valley does a good job at removing snow, he’s not sure the city has decided on a satisfactory way to clear sidewalks. “But, we’re certainly doing our best and we’re listening,” he said. Spokane Valley Councilman Ben Wick said the city can learn and improve its snow removal operations every year. The city of Spokane installed snow gates on seven pieces of equipment as part of a pilot program in 2017. The program was successful and as a result, the city more than doubled its amount of snow gates to 16 last year. Published: Feb. 12, 2019, 5 a.m.